Sleepy Jones; they are all about bring back good looking comfort. As they very simply put it on their website, and quite perfectly, "Why do we have to wear boring basics or something that doesn’t fit when we just want to be comfortable?" Sleepy Jones was started in 2013 by Andy Spade, along with Anthony Sperduti and Chad Buri, after many years of collaborating and working together at kate spade, Jack Spade and Partners & Spade. They opened a small store in on Bowery in NY to advertise their online shop. 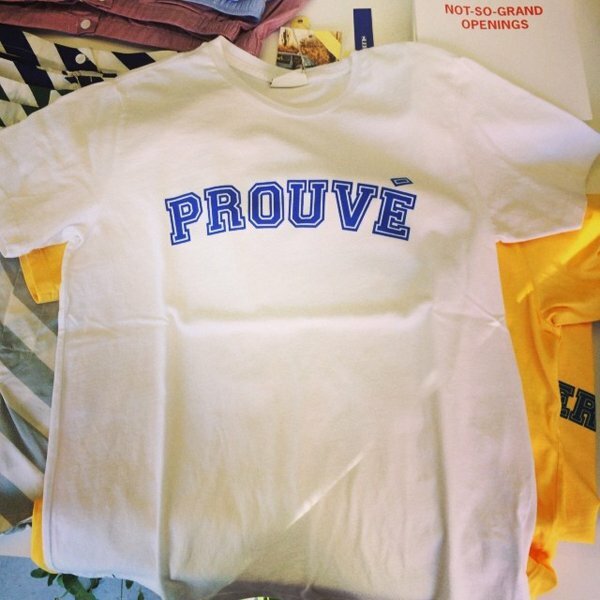 I LOVE the new store; and my Sleepy Jones Prouve T shirt. Prepare for Sunday with a swing by their store at 312 Bowery, New York, or check them out online at Sleepy Jones.